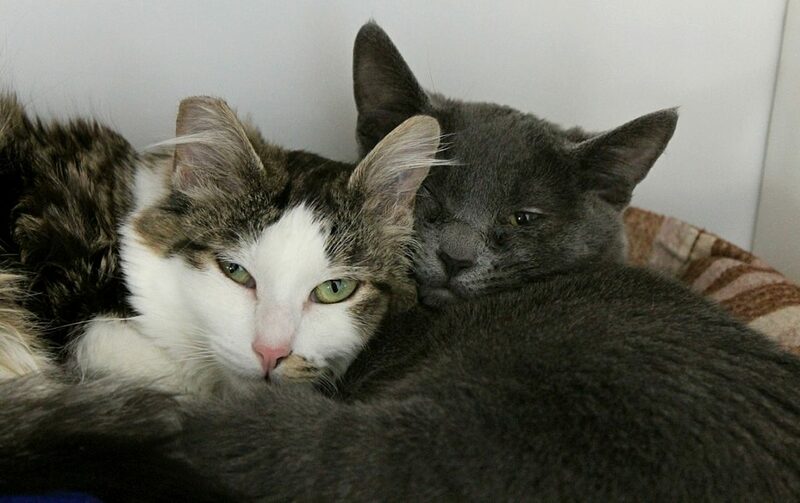 Ann (white with brown tabby) and Natalia (solid blue/gray) are two young and incredibly sweet bonded girls who fell in love in their foster home and are looking for their forever family together! 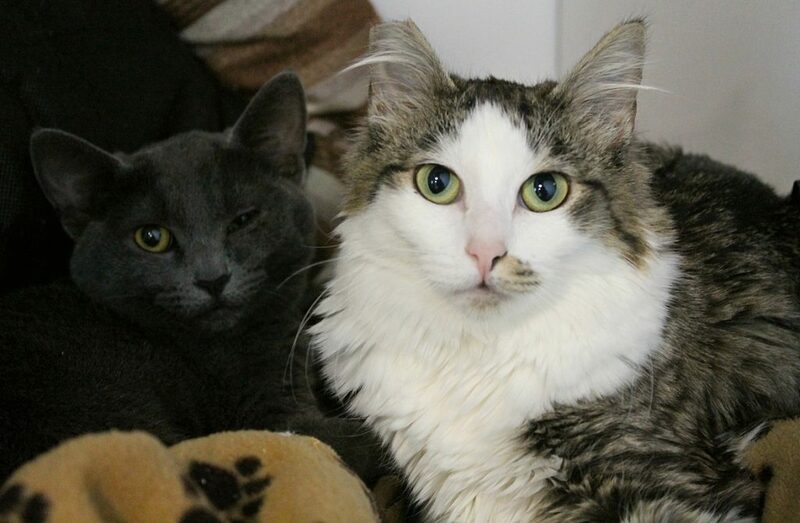 Ann is about 1 year old and Natalia is closer to 7 months, but both have very similar personalities and are looking for a quiet home that they can blossom in. Ann is very small, weighing in at just 6 pounds, and will probably look like a kitten for life! They are both a little bit on the shy side, but will instantly purr once we are petted and don’t mind being picked up and held. These girls have been in foster with other cats (which they LOVE) and dogs and are totally okay with both. They are extremely gentle and affectionate cats, but may be a bit overwhelmed by young children. These girls will do best in a mellow home where they can continue to gain their confidence through playtime and lots of human attention. They are very snuggly and will be fabulous companions! They have become inseparable and can’t wait to find humans to bond with just as strongly. Are you looking for a sweet little pair like this one? They are currently in a foster home, so fill out an application today! They come to you fixed, vaccinated, and micro-chipped for a combined adoption fee of $180.